Impex Hill Resorts is a fully furnished where the priority is comfort. The staff members welcome guests to the hotel and are keen to serve them the best. This hotel offers you well appoined and freshly renovated room equiped with all modern facilities. The hotel is located just minutes away from city square and has all the modern facilities, amenities and services with irresistible tariff to delight every possible need and want of the guests. A Rousing Welcome - A bright smile from the doorman, up a short flight of stairs, through swinging doors into the warm sleek lobby. You have just witnessed the beginning of the famous Kashmir hospitality. The rustic surroundings interspersed with a few touchs of greenry accompained by a hot pot of delicately flavoured 'Qahwa' (Kashmiri Tea) paves the way for a memorable stay at the Impex Hill Resorts. 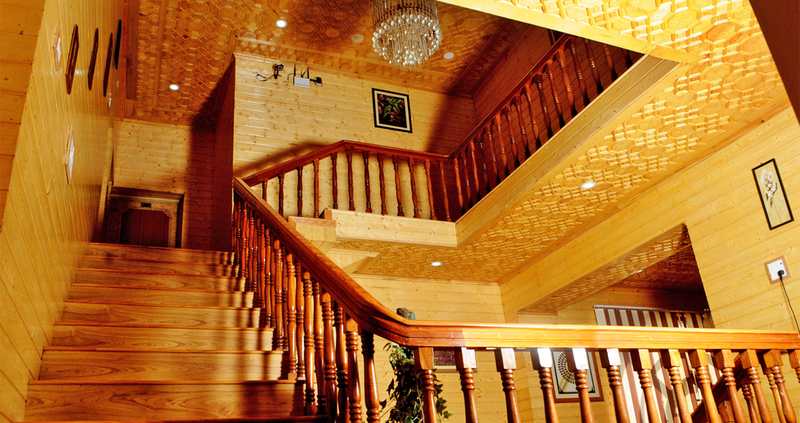 "Welcome to Impex Hill Resorts, the best resorts in Srinagar city!" Impex Hill Resorts is a fully furnished and well located hotel where the priority is comfort. The enthusiastic staff members welcome the guests to the hotel and are keen to serve them the best. This hotel offers you well appointed and freshly renovated rooms equipped with all modern facilities.